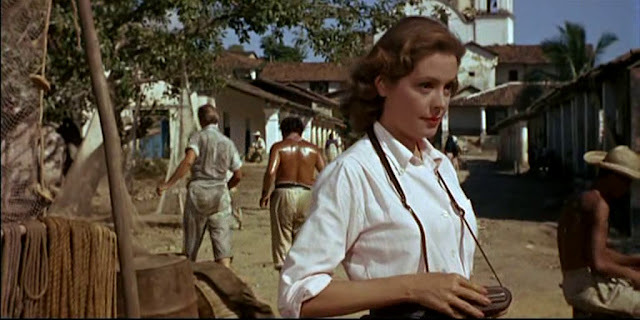 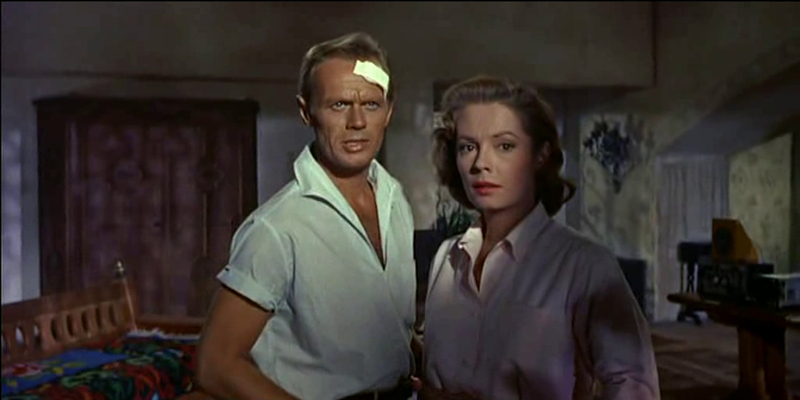 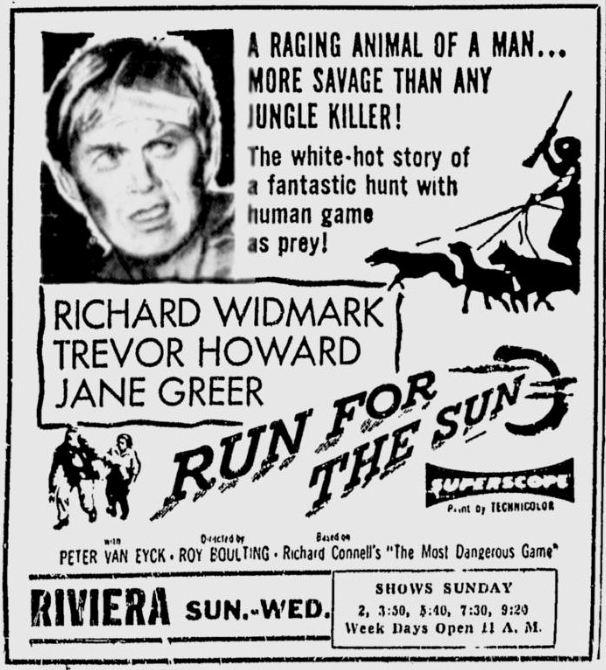 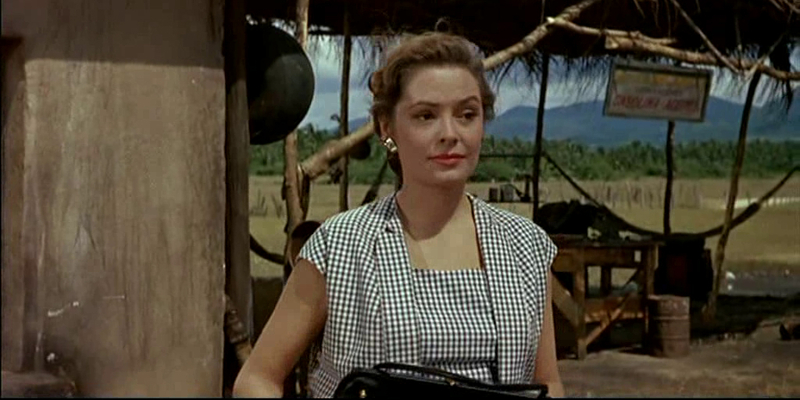 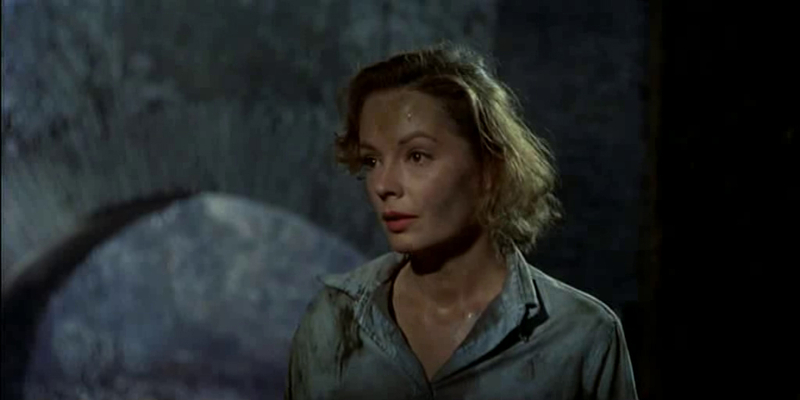 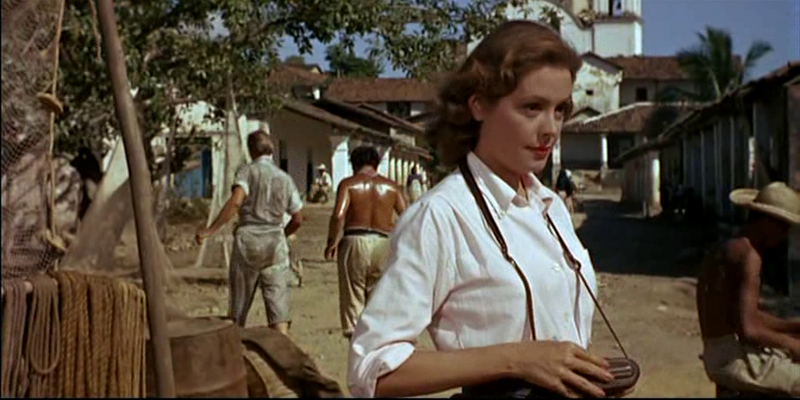 In 1956, Jane Greer co-starred with Richard Widmark and Trevor Howard in the exciting adventure Run for the Sun. 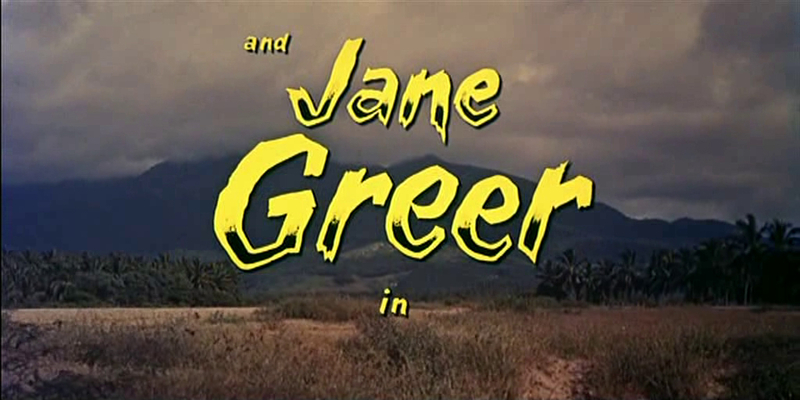 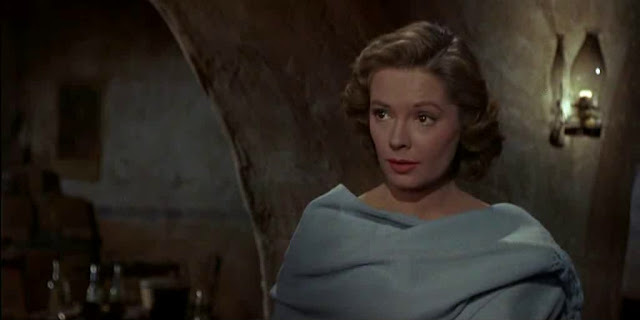 It was Jane Greer's second-to-last film of the 1950s (before concentrating on television work until her return to the big screen in 1964) and certainly one of her best efforts from that decade. 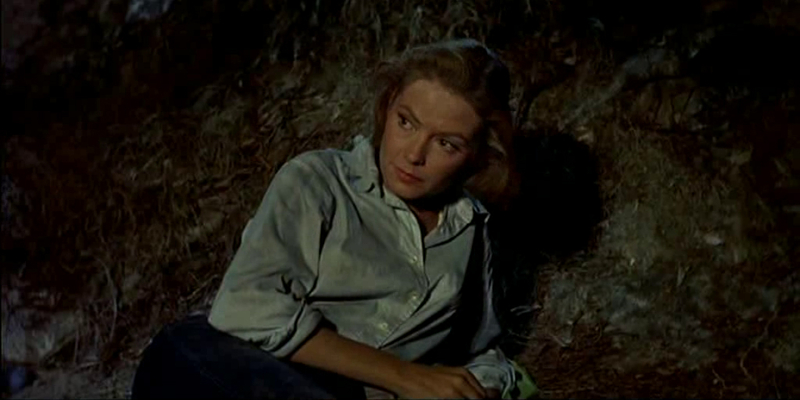 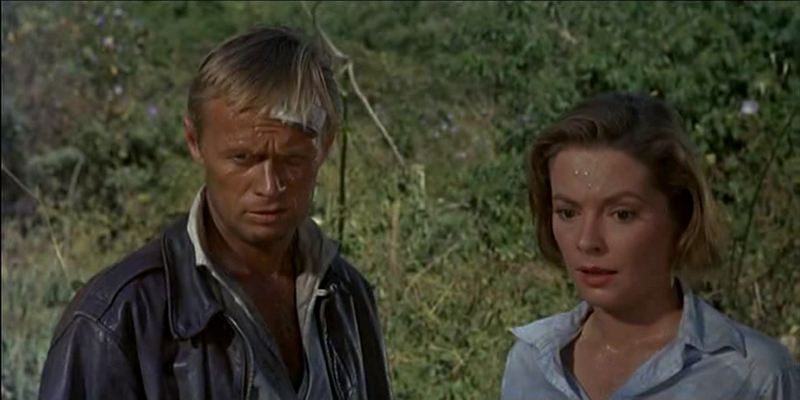 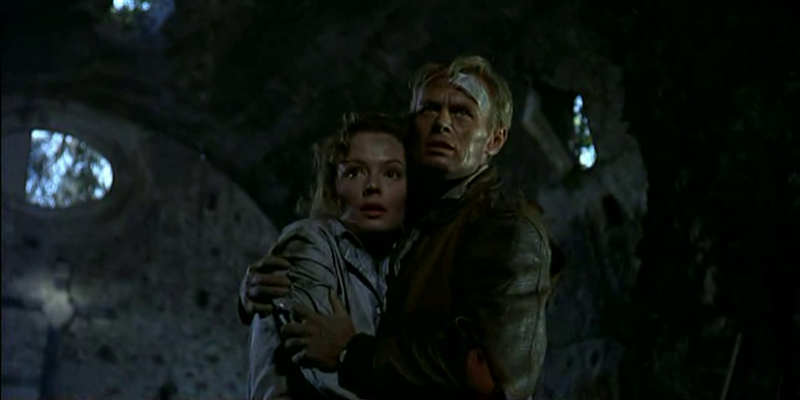 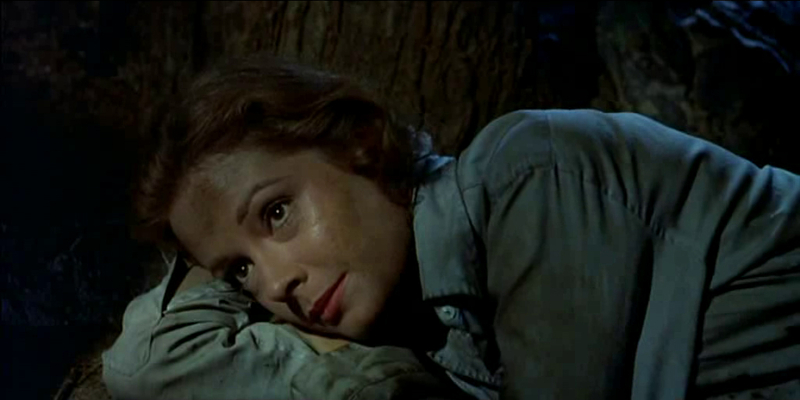 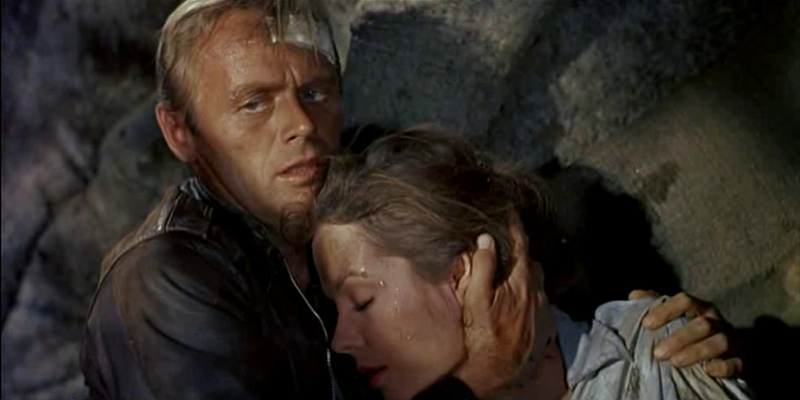 Jane Greer and Richard Widmark make a highly watchable screen duo as they attempt to escape from the evil Trevor Howard and his Nazi henchmen deep in the Mexican wilderness. 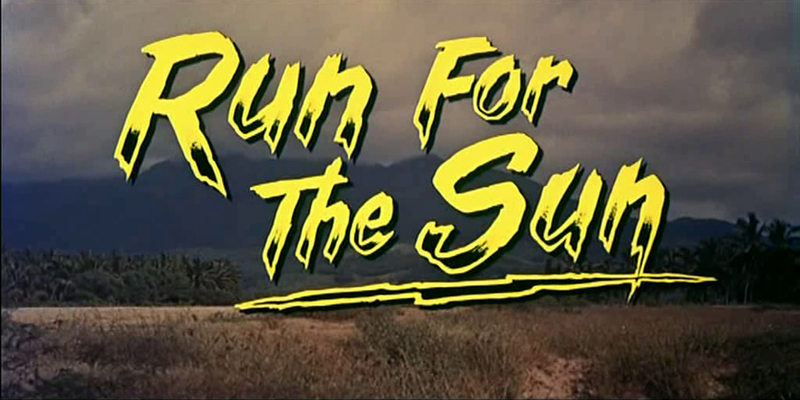 Here's a trio of contemporary reviews for Run for the Sun. 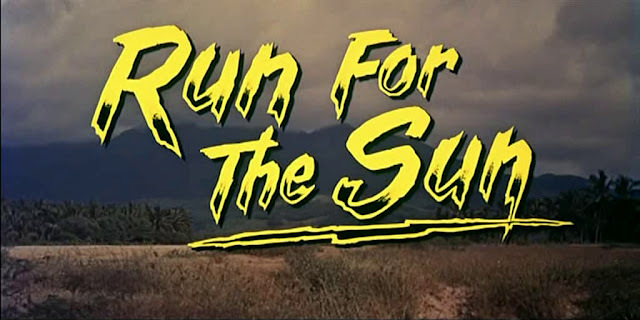 The consensus seems to be positive! 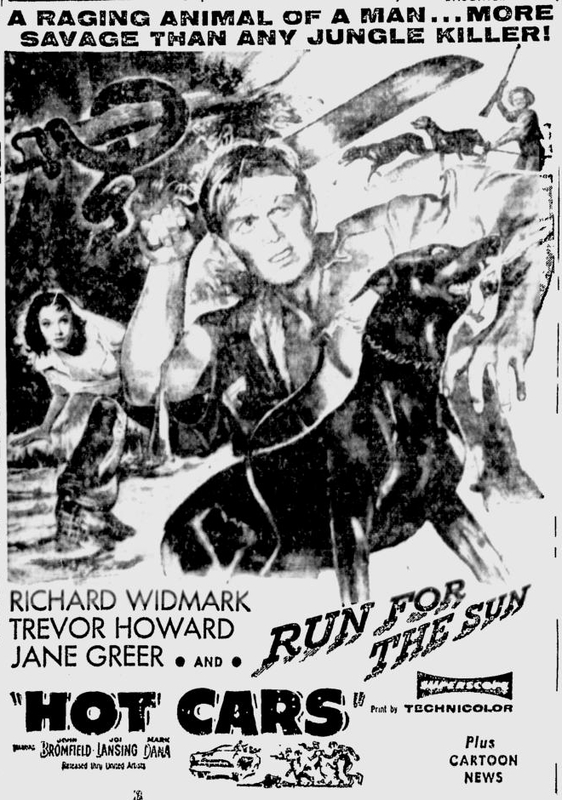 Here are some semi-bizarre press blurbs printed during the filming of Run for the Sun. 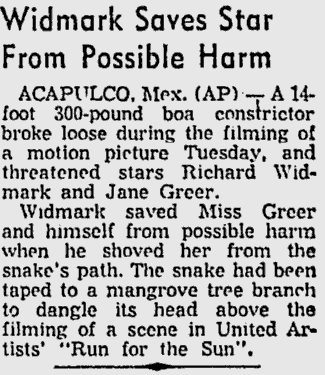 The first one (presumably concocted by a press agent) talks about Richard Widmark saving Jane Greer from a stunt snake. 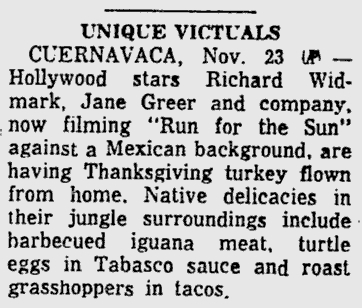 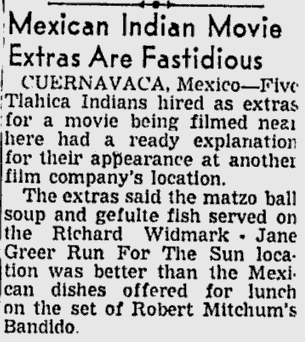 The second two newspaper tidbits, inexplicably, concern the food served on the Run for the Sun Mexican location production.